Why do you need to remove duplicate files on a computer? Have you noticed that your computer is running a little on the slow side, that wheel spinning a little longer on your screen that you want? This might be because you have extra downloads and duplicate files. Getting rid of these digital dust bunnies will free up storage space, and improve performance. Finding duplicate files can be a bit of a task and we want to help you get back to work as soon as possible. To do that we have compiled the 5 best duplicate file removing software options for you to try, so you can get the best out of your computer and get back to being productive in the New Year. 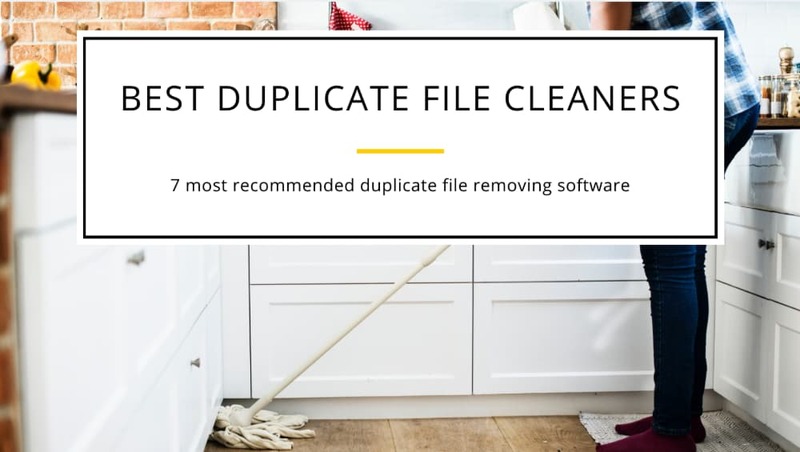 We went on an exhausting search for the best software for cleaning duplicate files from both Mac and PC and found these 5 for you: Cisdem DuplicateFinder 3, Clone Files Checker, Simple Duplicate Finder, Duplicate Sweeper, and DuplicateViewer. 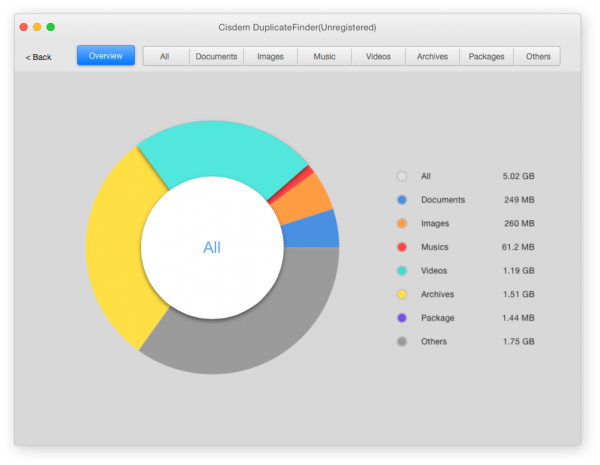 Free’s up space on your Mac in a 3 step process, scan, report, and delete duplicate files. You can try this software for free or buy. In Cisdem’s scan phase it finds true duplicate files with scanning algorithms. Looking into your internal hard drive and external storage devices. It also can scan other popular Apple applications. In Cisdem’s second step you get a report of duplicate files in 7 categories to easily understand what Cisdem found on your computer. Lastly, Cisdem gives you a chance to remove duplicate files in your desired method. They guarantee that no files will get lost without your approval. Clone Files Checker is a PC/Windows software that helps make your computer faster and clutter free in 2 clicks. 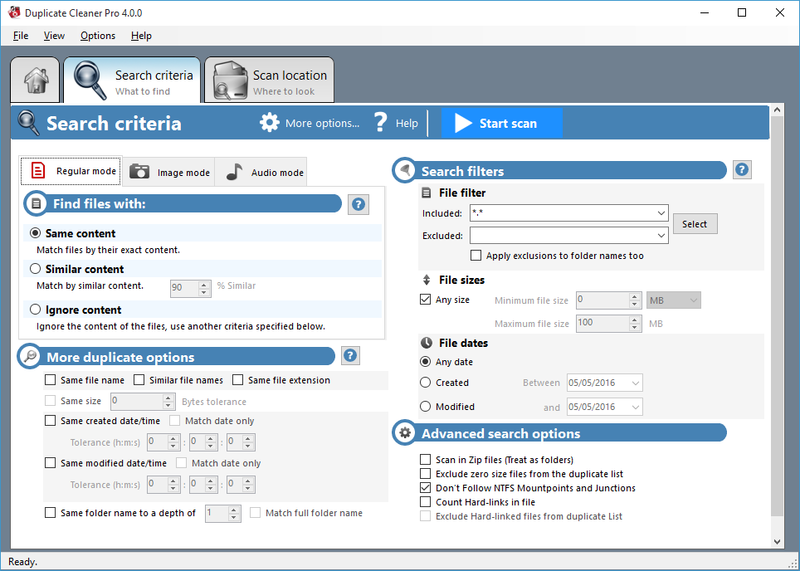 It’s main features give you the ability to scan and ignore given directories, search for files by specific type, use filters to narrow search results, sort duplicates, and media files can be viewed in the software so you make sure you do not lose that precious video by accident. Quickly scan your files, clean up your audio library, find duplicate images with this windows software for your PC. Softpedia gave them 4.5 stars and said: “is an effective and practical solution.” You can even manage your scan, by choosing a file type, file extensions like include/exclude in search, data range or file size. 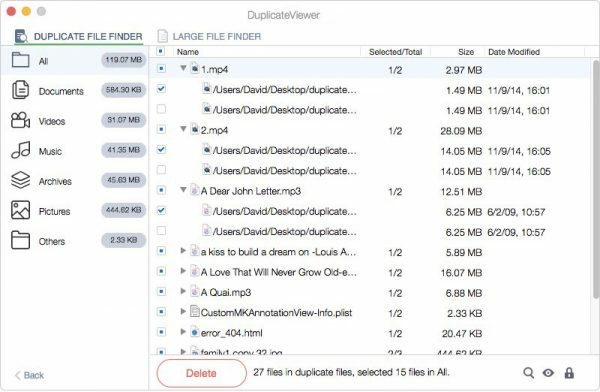 Simple Duplicate Finder offers a duplicate audio finder for all your audio files, duplicated photo finder that will find duplicated photos even if they are rotated, flipped, resized, and edited in other formats, duplicated files finder, and filters and options. Other features that Simple Duplicate Finder software offers is built-in file preview, save and/or load scan settings, a save your search feature, and pause/resume and stop a scan in process at any time. Duplicate Sweeper is by Wide Angle Software. You can try it for free on your PC and Mac or buy a full version for either. Give the user an advanced search algorithm, quick identification of files even if they are named differently. Duplicate Sweeper also lets you view a file before you delete so you do not lose important information. When you do want to delete files this software places the items in your recycle bin so if you change your mind they are easy to find. Is the only software we found that was both for Mac and PC. Not only a duplicate finder but also finds large files on your Mac, in a two tab display. This software also makes sure that at least one file of the duplicate is kept safe. They also give a viewing option to let you have the added security that you will not delete something precious or important. This software comes with a free trial version and a fee full version. They also offer a recover data option for iPhone and iPads. Disk Drill is famous for its data recovery feature. In the new version, it brings up the Duplicate Finder feature. Disk Drill is a must-have software on my Mac. Although I am not using the Duplicate Finder feature frequently, it satisfied me when I need to use it. If you are using Mac computer, I strongly recommend you choose this app. It’s a powerful and comprehensive solution for almost all your daily disk usage needs. And please note: the Duplicate Finder feature is only available on Mac version at the moment. I hope that you will find the software choice that is perfect for you and your computing needs from our list. You won’t be sorry for choosing one of these software choices. Clean up unwanted files, search duplicate files and kick them out from your hard drive with using Duplicate Cleaner software. It cleans up your scattered and unmanaged hard disk. It will find out duplicate files from your local drive folder. Saving space for future downloads and it is completely secure to find and remove duplicate files. Duplicate Cleaner is a licensed version software, to purchase it you need to pay 2,179.51 INR. Before purchasing the software you can use the trial version for your satisfaction and develop understandability of usage. For a certain period, you can use trial version of the software. If you are first time user then don’t worry, by its easy user interface you will get what you want. Unique selection Assistance will help you to pick a file and remove it. You can delete duplicate files or also move them to another location. Find similar photos and images even after photo is edited, rotated and resized. Duplicate Cleaner will find everything that duplicates files and folder. It scans all popular music collection from local folders. Find duplicated by artists, name and title. When you need to clean with more power than it gives to find the duplicate folder, files scan from zipping, advanced filter, unique files, automatic selection and more. Buy Duplicate Cleaner and say bye bye to duplicate files from hard disk.